Natural wine has been in the limelight for the last few years and it’s no longer just for hippies or hipsters. It’s a combination of a philosophy, a way of life, a way to declare our independence from the main stream. Whatever you think about natural, biodynamic, organic or sustainable wines (all very different by the way), our awakened interest in knowing where our wine comes from and how it’s made is hard to argue in its merits. It promotes responsibility to the earth and respecting the natural cycle of things. With that being said, is there natural sake? And what makes it natural? It’s a popular conversation topic and controversial at times but there are some recurring themes to think about. One element the naturalist sake brewers are talking about is the difference between sakes made in the sokujo starter method, versus ones made with kimoto and yamahai starter methods. For the purposes of this article, we’re going to combine these two into the same camp, as yamahai is a variation of the kimoto method. A traditional style that developed in the 1600s, Kimoto sakes are made with a yeast starter that don’t have lactic acid added. With most modern sakes (i.e. sokujo), lactic acid is mixed into the starter and the pH drops, which is a safe environment to add sake yeast. Other weird stuff doesn’t get into the mix, making sure that the rest of the fermentation goes smoothly. Before brewers realized all of this and lactic acid was a thing of mystic powers, lactic bacteria in the air had to create lactic acid naturally in the yeast starter. This takes time and in unlucky instances, things went sideways in the mash that messed things up. This is pretty risky as you can imagine but cold temperatures keep wild yeasts, bacteria and other microorganisms not good for sake brewing in check. This is why kimoto sakes are particularly famous in chilly places like Akita. 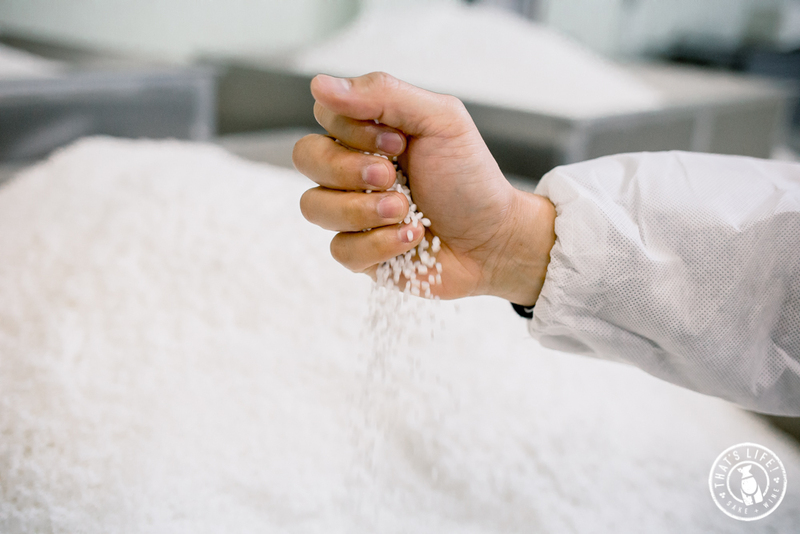 Cold temperatures mean cleaner, more controlled fermentations, which equals clean sake. Kimoto also utilizes less water because as wild yeasts and bacteria love water, limiting the amount makes it safer and cleaner. But this again means a harder consistency…tough times for brewers! So what do these sakes taste like? Kimoto sakes can be clean as a whistle, aromatic and pretty or downright funky. It all depends on what the brewery is trying to do with this method. It’s not the how but the intention that dictates what we get as a final result. There are plenty of yamahai and kimoto sakes made in either style but yamahai sakes tend to be more funky, earthy and full of umami. This is because most people expect yamahai sakes to be this way. There is an expectation that brewers try to keep in mind when calling things different names so that consumers aren’t surprised when they drink the sake. These funky sakes are often aged for a year or two, so that the earthy notes come through. There’s a pretty big range of sakes in this category to try in the market so make sure you try a few. Taiheizan Kimoto: Made by Kodama Shuzo, an Akita producer who has been championing Kimoto sakes for a long time. The “Akita Kimoto Method” was developed, nurtured and passed down by the brewers at Kodama brewery. Deep umami notes with signature kimoto acidity and complexity. Tengumai Yamahai: Brewed in Ishikawa on the west coast of Japan, famous for its amazing seafood and kaiseki (the original tasting menu). Local Gohyakumangoku rice, brewed in the Yamahai method and aged for two years in neutral barrel. Lots of savoury, nutty notes with tons of acidity. Amabuki Kimoto Omachi: A brewery in Kyushu who specializes in using flower yeasts to brew sake. This one is made with Rhododendron yeast and in the kimoto method. Very clean, lots of acidity and a gorgeous mouthfeel, which I assume the Omachi rice has a part in creating. A beautiful example of a refined, ginjo style kimoto. There are positives to cold, snowy weather. Cute down jackets and ear muffs, making snow angels and snowmen and of course, eating ice cream in the hot tub. In the sake world, cold, snowy weather also means that you have a natural environment suitable for creating certain types of sake. By utilizing the low temperatures, brewers were able to control fermentation so that bad stuff didn’t happen. As a result, they became famous for their tasty sake that didn’t have bacterial contamination and spoilage. These things are not good for sake, in case that wasn’t clear. In warm climates on the other hand, brewing techniques developed that allowed for clean fermentation despite the challenges that a hotter environment bring. Using warmer temperatures for shorter amounts of time when making the yeast starter created less risk and a cleaner sake. Many regions within Japan are fondly known as “Yuki Guni”, which translates to Snow Country. These are places where there are lots of snow (duh), usually the warm, fluffy kind, and the locals have adapted to this landscape. In the case of Akita, where Taiheizan is located, many local breweries have taken this backdrop and welcomed it with open arms. Akita style Kimoto sakes were born out of this climate. A traditional style that developed in the 1600s, Kimoto sakes are made with a yeast starter that don’t have lactic acid added. With most modern sakes, lactic acid is mixed into the starter and the pH drops, which is a safe environment to add sake yeast. Other weird stuff doesn’t get into the mix, making sure that the rest of the fermentation goes smoothly. Before brewers realized all of this and lactic acid was a thing of mystic powers, lactic bacteria in the air had to create lactic acid naturally in the yeast starter. This takes time and in unlucky instances, stuff happened in the mash that messed things up. Cold snowy weather to the rescue! In places like Akita where the winters are pretty solidly cold, low temperatures keeps a lot of the wild bacterias and yeasts in check, even for Kimoto sakes. The result in a clean fermentation and you get sake. Ta-da. Akita style Kimoto is also a little different from other Kimoto methods and Taiheizan Brewery was instrumental in spreading these techniques. Kodama san, the brewery president, as well as the Akita Prefectural Sake Association president, tells me proudly that his forefathers taught many brewers in his region. A key difference in Akita style Kimoto is that while Kimoto yeast starters often used smaller wooden vats called hangiri to physically mash the rice with wooden poles, Akita style puts everything into one place. Because all the ingredients are in the tank at once, the rice soaks up all the water, making the mash very hard. No wooden pole is going to be able to get through it so electric “drills” are used instead. Kimoto also uses less water because wild organisms love water so limiting the amount makes it safer and cleaner. But this again means a harder consistency…tough times for brewers! So what do these taste like? Kimoto sakes can be clean as a whistle, aromatic and pretty or downright funky. It all depends on what the brewery is trying to do with this method. It’s not the how but the intention that dictates what we get as a final result. So next time you pick up a bottle of Kimoto sake, make sure you take the time to think about how much work and effort went into the bottle. Or better yet, just drink it and have a good time. My inclination to be sassy makes me want to say “What about sparkling sake?” when someone asks me this question. Of course, I only say it in my head so I don’t become a social recluse but it comes from my frustration with the category, where the sakes can be fresh and beautiful, made with integrity, or strange and disjointed. All too often, sparkling sake seems too much like a gimmick, where someone pondering the age old issue of “how do we get young people to drink sake?” came out of it the other end with an answer for a pop-drinking, sparkling water loving generation and culture that they weren’t part of. There’s also the notion that the export market will like sparkling sake and use it as a gateway to more serious sake. Not trying to be a Debbie-Downer. I promise. Quite simply, when a consumer picks up a bottle of sparkling sake, it’s a game of chance. To counter this perception and lack of consensus in the marketplace, the Japan Awasake Association was formed, who’s mission is to share knowledge and information between brewers making sparkling sake to improve quality and to set a standard for the category. The aim is to place sparkling sake amongst the top sparkling beverages of the world and promote it’s versatility in the marketplace. The association has also created a set of standards that producers must follow in order for the sparkling sake to be certified “Awasake” by the association. 1) The only allowable ingredients are rice, rice koji, water. 4) Visually, the sake should be clear and the bubbles after the sake is poured into a glass should be consistent and persistent. 6) The pressure when the sake is at 20 degrees celsius should be 2.5 bars. Additionally, the quality should remain consistent for 3 months at room temperature. It must also be pasteurized. These sakes will have official Awasake stickers on the bottles, making it easier for identification. I think this standardization is a great step in the right direction for the sparking sake category because it gives clarity to a consumer as to what goes into a certified Awasake. However, I also think there are sparkling sakes that will never be certified Awasake that are fun, easy and can be enjoyed without thinking about it too much. Here are a couple of great sparkling sakes that don’t have Awasake certification for separate reasons. For the Mizubasho Pure, it’s now certified but as this association is brand new (2016), what’s currently in the market is pre-certification. Hakkaisan Sparkling Nigori – a slightly cloudy sake that has notes of honeydew, Asian pears and tropical fruits. It’s been carbonated so although it will never be a certified Awasake. Nonetheless, a delicious sparkling sake with lots of potential for pairing potential. 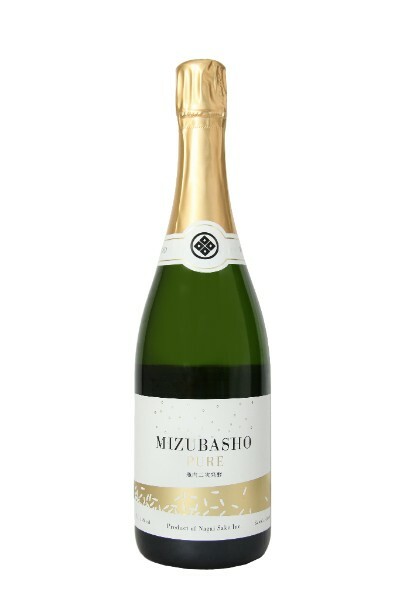 Mizubasho Pure – Nagai brewery was one of the frontiers in making a traditional method sparkling sake. They researched for years how to utilize Champagne techniques in a sake context and was instrumental in forming this association. The Pure is clean with precise bubbles and a great mouthfeel. WSET Sake Level 1 in Canada! It’s finally here! Earlier last year, WSET launched the Level 3 Award in Sake and while level 1 was available in test markets in London and the US since this summer, it’s just made it to Canada. I’m teaching it in Vancouver and Toronto in the next couple of months. If you’re in or close to either city, it’s a terrific introduction or review into the beautiful world of sake! Because it’s me, I’ll be covering food pairings with REAL food! Vancouver – The Art Institute of Vancouver is offering a WSET sake level 1 course for the first time in Canada, taught by Mariko Tajiri. It’s a 1-day course on Saturday, January 14th and it’s perfect for anyone who works with sake in restaurants or retail, or those who just want to learn more! Brewing basics, sake service, classifications and food pairings will all be covered. Contact: Angela at 604.989.8009 or alandon@aii.edu to book your spot now. The Art Institute also offers gift certificates for Christmas gifts and stocking stuffers…the gift of learning keeps on giving! Toronto – This session will be taught at IWEG (Independent Wine Education Guild) and the enriched food and sake pairing component will be delivered by instructor Mariko Tajiri, providing the opportunity to experience key pairing principles through interactive tasting. Students will have access to the Study Guide upon receipt of tuition and are required to read through the material before attending class in order to be familiar with content and participate in activities. There will be a short break midday for refreshment. Glassware provided. Price: $360 **Special industry pricing available. Please enquire!